Offering you a complete choice of products which include work shoes, industrial safety footwear, chemical resistant safety shoes, protective footwear, steel toe work shoes and safety welder boot. 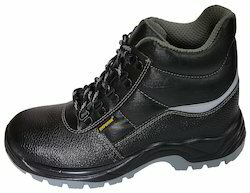 We are manufacturer and supplier of Industrial Safety Footwear. 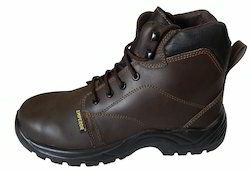 These Safety Footwear are manufactured by us using good quality leather, which provide proper safety and comfort to the wearer.We providing reasonable market price with best quality. Our shoe model is absolutely resistant to heat so they very well cater to allied needs of the industries. 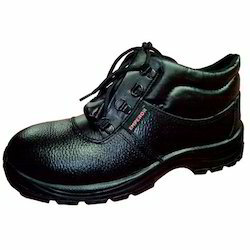 We are manufacturer and supplier of Chemical Resistant Footwear. Which are manufactured by us using optimum quality leather, that provides proper safety and comfort to the wearer. 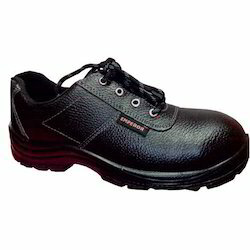 Our shoe model is absolutely Heat Resistant Safety Shoes so they very well cater to allied needs of the industries. We are manufacturer and supplier of Protective Footwear. 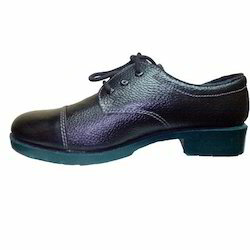 These long-life foot-wears are made of finest quality lather to provide comfort and durability. Our foot wears' are highly appreciated for stylish design and resistance capacity. They are highly forbidden to heat, fire and water. We offer them in different sizes and affordable price. 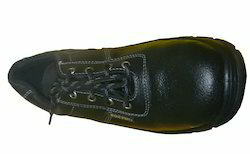 We are manufacturer and supplier of Steel Toe Work Shoes designed for safety purpose. In the production we use best quality raw materials and latest technology. These shoes are highly appreciated for their durability, eye catching design and cost effectiveness. Our shoes are available in both male and female designs. They find their application in mining industries, steel plants and refineries. You can use them in winter or rainy season also. We offer them at industry leading price. Looking for Safety Footwear ?